Ensign Sylvia Tilly talks to her mother about the upcoming command training program, but does not receive the desired moral support from her. She sits down to drink an espresso when the food synthesizers in the mess hall go crazy and eject random food. An alien stowaway appears, according to the tricorder readings a Xahean female of about 17 years. The alien introduces herself as Me Hani Ika Hali Ka Po. Despite her young age, she has already developed a method to recrystallize dilithium, which is a crucial technology for her world that has just developed warp drive. Yet, Po has run away from her duties on the planet. Tilly finds out that Po is "strategically important" for Xahea, but as Po does not trust anyone else, she does not report the intruder to her superiors. When Tilly is about to beam her back to her planet, Po reveals that she is going to be the queen of her people and that she ran away from the coronation. Short Treks is a new series format that was conceived to bridge the time between the first and the second season of Discovery. The series consists of four concluded episodes of only 10 to 15 minutes, each of which focuses on one character. The series premiere, "Runaway", spotlights Sylvia Tilly. It is set some undefined time after her promotion to ensign in "Will You Take My Hand?". 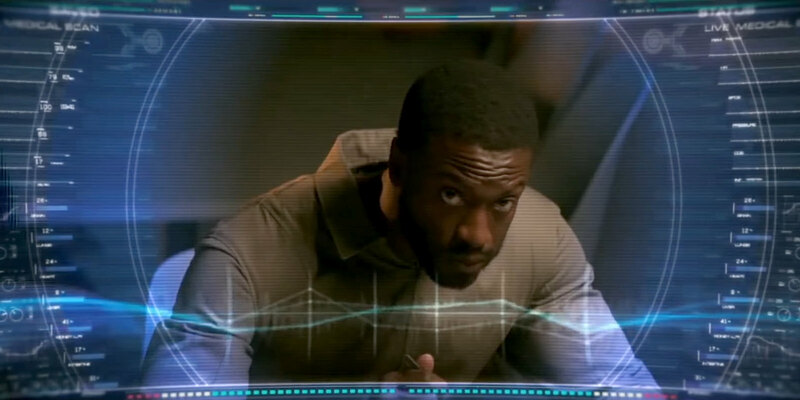 Tilly has become a fan favorite in Discovery's first season. However, we never learned a lot about her, except that she possesses a quick apprehension but tends to be awkward in her daily routine. We also know that she doesn't get along well with her mother. "Runaway" ties in very well with these known facts, and further elaborates on Tilly's motivation. The clear intent of the story is to show that, despite her alien nature, Po is in a somewhat similar situation. She too wants to take a different path than the one that is predetermined. But that's it for the similarities. Po is a teenage girl who runs away from her family and her family's expectations, without any kind of plan. In this regard she's not particularly alien anyway. The fact that she is a crown princess is just the icing on the cake. Tilly, on the other hand, is a young woman who has clear goals that she wants to pursue with determination. I may have expected too much, but there is not so much that would link Tilly and Po together, except the secret that they share. On the other hand, it is remarkable that, in the end, Po returns to her duty on Tilly's advice, while Tilly herself violates quite a few regulations despite her goal to take over more responsibilities. The focus on the interaction of Tilly and Po is a requirement to tell the story in just 15 minutes. Any involvement of any other familiar character or any other place would have complicated the setting just too much. It is both a blessing and curse that no one else of the crew shows up, except for extras that are visible for just a couple of seconds altogether. In particular, there are many open questions. Why doesn't Tilly call any of her superiors, as it would be her duty? Why doesn't anyone or any sensors notice what's going on? Why isn't Tilly afraid that someone might discover her guest, which would get her into trouble and endanger her command training? It was symptomatic of Discovery's first season that characters would act on their own, often against orders. Additionally, the secrecy about Tilly's young friend unpleasantly reminds me of the kind of secrets that teenage girls and boys like to keep, and that (at least in pertinent genre movies) they would never reveal to their parents or teachers no matter how deep in trouble they are. Tilly may do a good job in listening to Po and giving her guidance, but keeping her presence a secret seems immature and, as already mentioned, opposed to her intention to undergo the command training. Despite the short run time "Runaway" does not feel rushed. However, by focusing on the character interaction it withholds information that would be necessary or useful to get across what is happening. Any story in which someone keeps a secret is usually not only more plausible but also more interesting if the perspective switches at least two times to those who could find out about it. Another example of an omission is that Po mentions something about her planet being her "twin sister" and thus having a special connection to it, which is the reason why she doesn't want dilithium to be mined there. This sounds a bit like Pahvo, but it could mean anything from a real symbiosis to esoteric nonsense. It was clear that a Tilly-centered mini-episode would include a good dose of humor. Most of it is decent, but the messy mess hall and the joke about the "space rabbit" (I had to rewind because I thought I had misheard it) strike me as very silly. One annoyance on the technical side is that Short Treks is shot in 2.39:1 aspect ratio, not in 2:1 like Discovery's first season, and not in 16:9 like usual TV series. The producers and many viewers will probably say it is still "wider" now, but that is only a euphemism for wasting an even larger portion of the 16:9 TV screen for black bars. I don't care at all for the "cinematic" experience, I just want the picture to be as large as possible, and 16:9 is a decent ratio. Actually, I preferred 4:3 but I can see how 16:9 is a good compromise to show movies on the small screen. Using movie proportions for TV series is a stupid fad. I'm afraid the Discovery people will carry it into the second season. Continuity: Scotty and Spock will find a way to recrystallize dilithium decades later, in "Star Trek: The Voyage Home". But Po's invention is not really a continuity error, considering that her device may not work on a larger scale, that it may not work for the kind of crystals that Starfleet uses, or that the Xaheans may simply keep it secret. Tilly has her reasons not to inform her commanding officer (whoever that may currently be) because Po would only trust her. But wouldn't the mess in the mess hall be investigated? Wouldn't anyone find more traces of Po's blood? And what happened to internal sensors? Wouldn't some sensor detect Po's presence, at least retroactively in a log review? 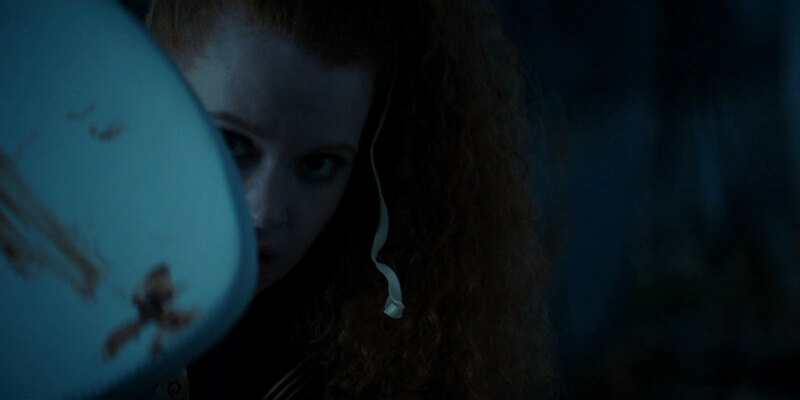 Ultimately, the transporter log would reveal that there was something going on, unless Tilly deleted it and risked her career (which she probably does anyway, even without active sabotage). Where does Tilly beam Po? Into open space? Because that's where Discovery is during the episode. There's no mention of the ship going to Xahea (obviously, because Tilly does not let in anyone). Perhaps there is a Xahean ship ready to take over Po, but this too would be impossible without Tilly's superiors being apprised of it. Also, do the Xaheans already have warp ships? It should have been established for this matter that Discovery was in orbit of Xahea all the time, so it would have been plausible for Tilly to beam Po somewhere. The Xaheans have just achieved warp capability. Xaheans have some sort of extendable spikes on their backs. Me Hani Ika Hali Ka Po is supposed to become the queen of her people after her parents and her brother have died. Sylvia Tilly's mother is named Siobhan. Tilly also has a stepsister, who is said to be more intelligent. An escape pod is rescued from space by the USS Discovery. But when the passenger, a man who calls himself Craft, wakes up in sickbay, no one is there except for Zora, an artificial intelligence. Zora tells Craft that the crew has left the Discovery, and that the ship has been abandoned for as many as one thousand years. Craft is a soldier who has fought in war for ten years. He expresses his wish to return to his family on the planet Alcor IV. Zora, however, says there is only one shuttlecraft aboard, which had just been delivered when the crew left, and which is not spaceworthy. Craft and Zora build a relationship, which culminates in Zora creating a hologram of herself to re-enact her favorite movie, "Funny Face". Craft feels that this isn't right. Zora finally comes round and prepares the shuttle for him to leave. She names it "Funny Face". 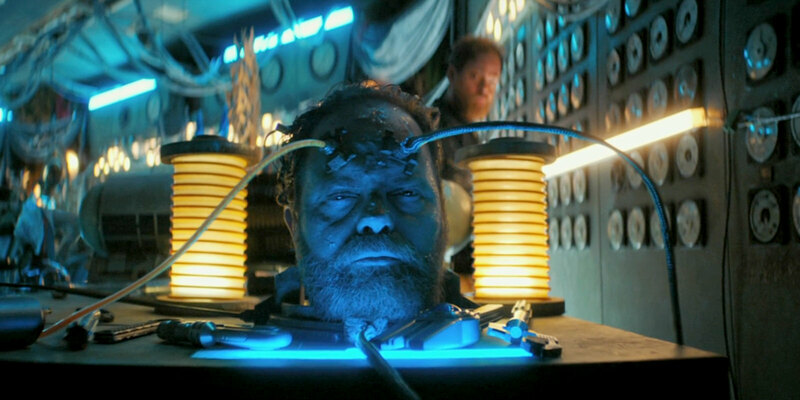 The first Short Treks episode, "Runaway", suffered from its unlikely circumstances, and particularly from the fact that Tilly and Po were seemingly alone on the Discovery. In "Calypso", it is even much more mysterious why the ship is empty. But the reasons are irrelevant here because "Calypso" works well as a standalone episode with an extremely narrow focus. And so the story does not even try to explain what happened a thousand years ago, why the ship was forgotten and how it could remain in almost perfect shape and powered up for such an incredibly long time. "Calypso" leaves the era of Discovery, the narrative of Discovery and ultimately the whole Star Trek Universe we knew behind. It doesn't include any references to the series except for the set and prop design. Overall, it feels more like an episode of an anthology such as "Twilight Zone" or recently "Black Mirror" than like Star Trek. I appreciate this complete departure, just for a change. 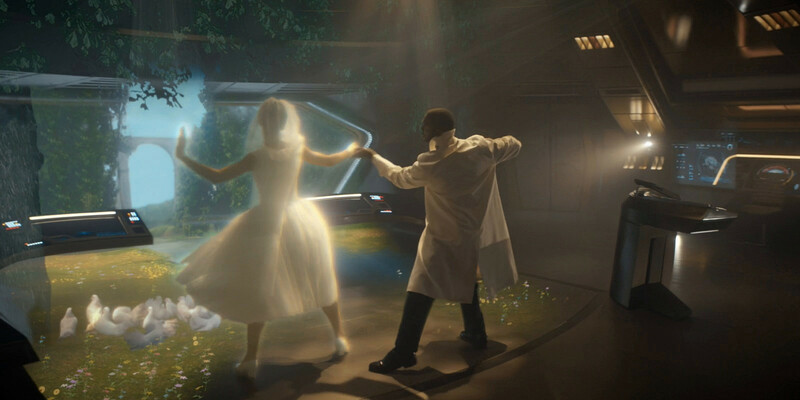 And considering that Discovery largely failed to recapture the spirit of Star Trek in its first season anyway, "Calypso" demonstrates how good science fiction can be created without the need to embed it into a larger story context. Our common idea of an artificial intelligence was shaped as long as 50 years ago, in "2001: A Space Odyssey". Since then, AIs in science fiction keep evolving. They seem to become always more human and also more threatening. "Calypso" does not follow the trend and rather goes back to the roots. The story features an AI whose look and feel is very reminiscent of HAL 9000 (and once again on a ship named Discovery! ), that tries to forge a bond with a human being and that ultimately fails. But unlike the classic movie, "Calypso" has a bittersweet ending when Zora recognizes that she can never replace Craft's family. Zora ultimately shows the kind of compassion that HAL lacked. 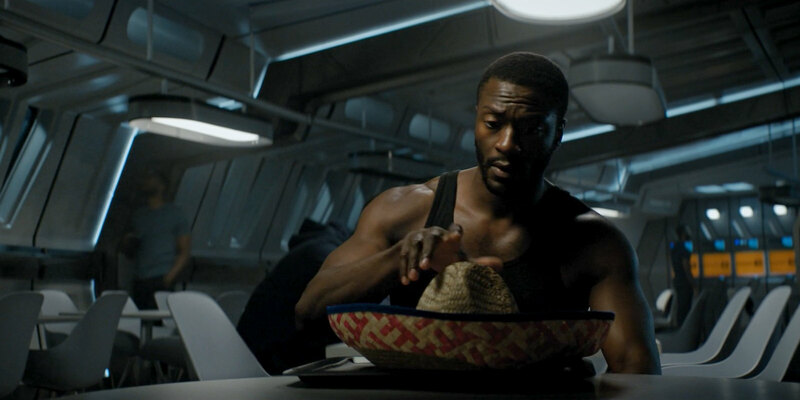 While the story overall doesn't show new science fiction concepts (which definitely wasn't the intention anyway), "Calypso" is thought-provoking in the best sense of the word. And it is very emotional without being melodramatic and without turning the trope of a sentient machine into silliness. 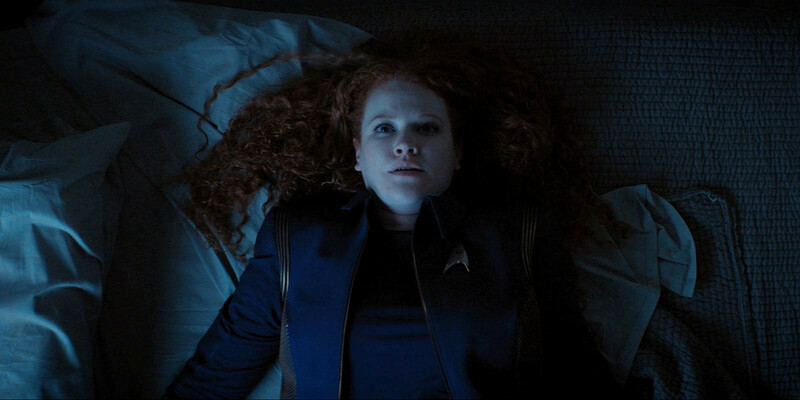 It is clear that the standalone format of this Short Treks episode will remain, and probably has to remain, an absolute exception in Star Trek Discovery. But perhaps the series could profit from this demonstration of how to bring more of what fans love about science fiction into the series and perhaps drop some of the generic ongoing intrigues. Michael Chabon, who wrote the episode, will be an executive producer on the yet unnamed Picard show, which makes me hopeful at least for this new series. Overall, "Calypso" has very little Star Trek in it. But it is an outstanding short film with strong performances by Aldis Hodge as Craft and by Annabelle Wallis as Zora. The flow of the episode is great and is quite a contrast to the mess that was "Runaway". I only don't mind the lightnings in space, as an attempt to let the empty ship appear even more scary. "Calypso" may be a simple story in many regards, but the way it is brought to screen is superb. Continuity: The Discovery has been abandoned for as long as 1000 years. So we are in the 33rd century. This is further into the future than any Star Trek has gone before. Nitpicking: After 1000 years without the normal maintenance and without any resupply, the whole ship with all of its systems is as good as new, fully functional (except for the warp drive) and powered up. Moreover, it has remained in this condition in spite of the space thunderstorm that is raging outside. When Craft doesn't accept Zora as a real person and has left the bridge, we can see her hologram with a tear in her eye. Craft says that on Alcor IV people receive their name from their beloved ones when he boards the shuttlecraft. After the hatch has closed, we can see that Zora has named the shuttle "Funny Face". It does not seem to be customary among humans on Alcor IV in the 33rd century to reveal their name. Craft first calls himself "Quarrel", and Craft is not his real name either. According to Michael Chabon, "V'draysh", the enemy that Craft was fighting, is a syncope of "Federation". Remarkable title: The episode is aptly named for Calypso, the nymph who kept Odysseus on her island for seven years. The Kelpien Saru lives on the planet Kaminar with his father and his sister. The Kelpiens are a pre-warp civilization. 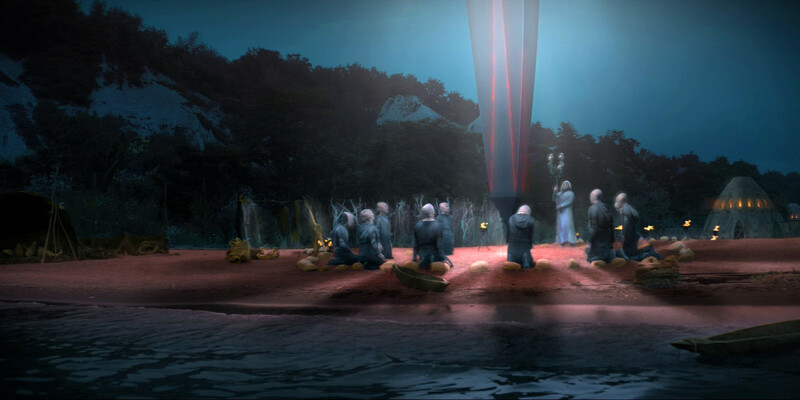 They believe in the "Great Balance" on their planet and accept that an advanced species, the Ba'ul, appear in regular intervals to "harvest" Kelpiens. 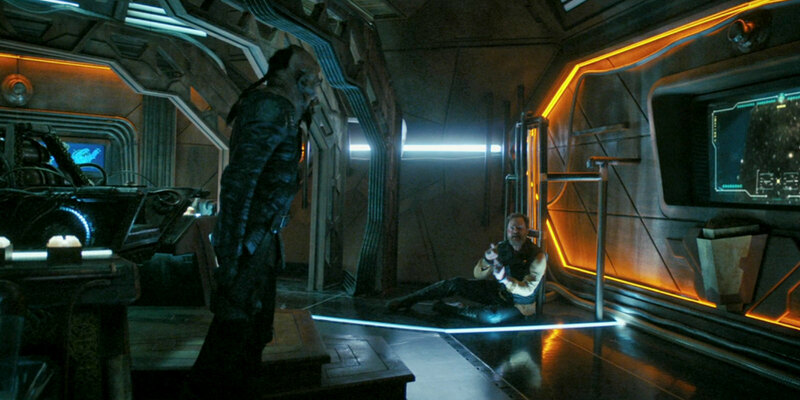 One day, Saru's father finds a piece of technology from a Ba'ul ship and tells his son to dispose of it. Saru, however, keeps the device and learns how to use it as a transmitter. He receives a message to proceed to a meeting point where a Starfleet shuttle with Lt. Georgiou lands. Georgiou tells Saru that Starfleet makes an exception for a member of a pre-warp civilization and that he can join, but that he won't be able to return to Kaminar. Saru accepts the offer and leaves his homeworld. "The Brightest Star" turns out to be much like what I expected when I read that one of the Short Treks would be an origin story about Saru on his homeworld Kaminar. 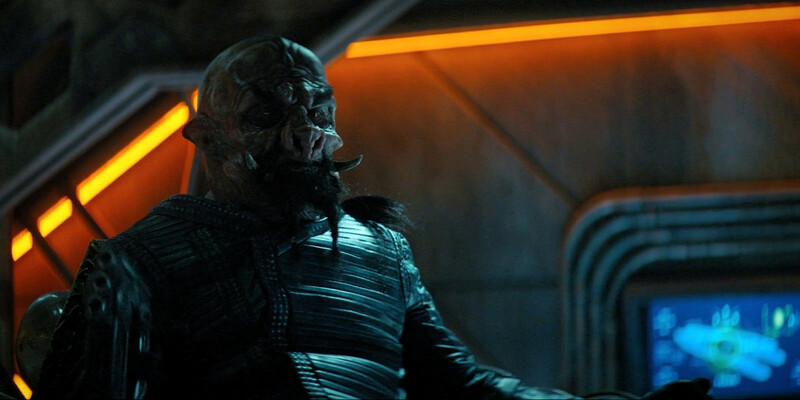 I anticipated that the episode would rather not show us snarling wild animals (or Hirogen-like humanoids) that hunt Kelpiens, but a somewhat different, less bloodthirsty interpretation of the predators and prey that Saru spoke of in "The Vulcan Hello". However, other than fulfilling my expectations, the episode is rather disappointing. "The Brightest Star" delves deep into Star Trek's stock of pre-warp civilization and "false god" clichés. It shows the Kelpiens as a society much like the natives in TOS: "The Return of the Archons", "The Apple" or many other well-known stories. It features all the usual stereotypes of the advanced aliens who impress the natives with cultic artifacts and impose taboos on them, of the priest who accepts his being inferior and passes on his humility and finally of the skeptic who is not content with simple answers along the lines of "That's the way it is." "The Brightest Star" would have needed more time to establish more than the stereotypical setting, to flesh out a real story and character relationships and to build up at least a small arc of suspense. In particular, I think Saru would have deserved to be more than just another reissue of a stock character, and that his family should have played more of a role in his decision process to leave his homeworld. And while I like how Doug Jones guides us through the story in the form of a voice-over, the few dialogues are rather insipid and mostly consist of hackneyed phrases. I almost couldn't believe that Saru's father said, "If the great balance had meant for us to fly, we would have been given wings." Come on, writers! I know you can do better. On the positive side, this Short Treks episode, like already "Calypso", has more Trek feel to it than anything in Discovery's dismal first season. We may argue that Georgiou's course of action is reckless and that the exception to the Prime Directive made for Saru is unwarranted. At least, Picard would never have condoned it. But Starfleet is about seeking out new life, and both Georgiou and Saru meet in pursuit of this very goal. So despite my reservations regarding the clichéd depiction of the Kelpiens, "The Brightest Star" leaves me content. It is an adequate origin story for one of the few likable characters of Discovery. 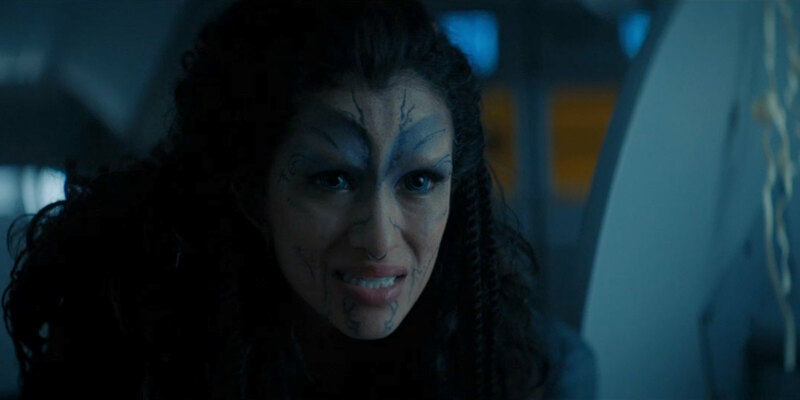 The fact that the Kelpiens are a pre-warp civilization explains why we never see any of them in other Star Trek incarnations (except, of course, in Discovery's own Mirror Universe). In "The Vulcan Hello", Saru said that he comes from a planet of predators and prey, but the impression we get in "The Brightest Star" is a different one. The Ba'ul are not exactly predators if they just come to "harvest" Kelpiens, and the Kelpiens are not exactly prey if they willingly sacrifice themselves. And what would their threat ganglia (that we see at one point in the Short Treks episode too) and the ability "to sense the coming of death" be useful for if they know when and why the Ba'ul are coming? It is possible that the Kelpiens were prey in a natural food chain before the arrival of the Ba'ul. But that is something that Saru can only speculate about and that wouldn't describe the current status on Kaminar. It is possible that there are still other, natural predators besides the Ba'ul and that 15 minutes was just too short to show them. Nitpicking: Would Starfleet allow the Ba'ul to continue with the "harvesting" of Kelpiens? Would Saru allow it? While there may be reasons not to interfere, shouldn't it drive Saru mad? 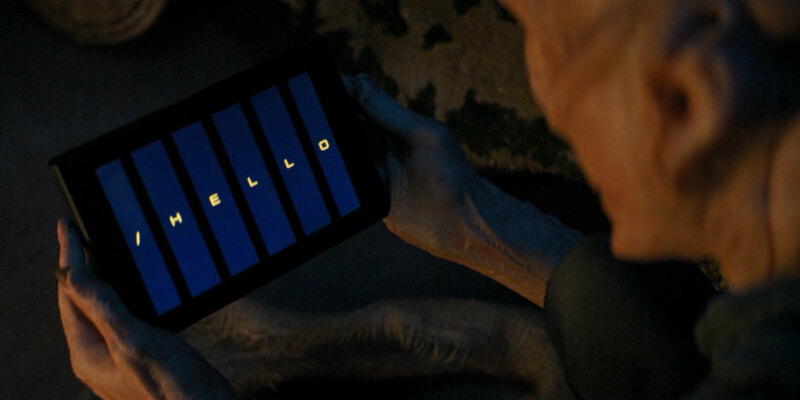 Remarkable scene: After a long time of tinkering, Saru finally receives a message on the Ba'ul device that reads "/HELLO" and that he doesn't understand yet. Remarkable name: It does not seem to be a coincidence that a species that harvests kelp is referred to as "Kelpien". The Tellarite Tevrin Krit purchases the prisoner Harry Mudd from a masked female bounty hunter. Harry Mudd slept with Krit's sister and stole his cudgel, a traditional hand weapon that he wanted to pass on to his son. Mudd initially denies his identity, then laments that he has been wrongly accused, later proposes a deal to Krit and finally begs that the Tellarite should let him go for humanitarian reasons. But Krit does not change his mind and turns over his prisoner to Starfleet. Aboard the Starfleet vessel De Milo, the two are welcomed by an officer who seems to be annoyed, rather than delighted to see them. He tells Krit that this is not the real Harry Mudd and leads him to a storage compartment full of android Mudd duplicates that were delivered by other bounty hunters. Meanwhile on Mudd's ship, the con man, in the disguise of the female bounty hunter, initiates the next sale of an android created in his image. Although I wouldn't rate the classic Harry Mudd as the fan favorite the makers of Discovery imagined he was, the attempt to revive the character in the reboot series was largely successful. The two previous Mudd episodes, "Choose Your Pain" and "Magic to Make the Sanest Man Go Mad", were among the better ones of the first season. In the context of the dark universe of Discovery it may have seemed logical that Mudd too would have to undergo a transformation and would not be the mostly harmless swindler we know from TOS. Yet, as entertaining as it otherwise was, the latter episode clearly crossed a line when it depicted the character as a mad mass murderer. But the even worse failing was the absurd ending in which, instead of being punished, Harry Mudd was released into the custody of his "beloved" Stella and her father. This contrived reset button was clearly meant to preserve the character for the future, rather than to make any sense. "The Escape Artist" is set after the events of "Magic to Make the Sanest Man Go Mad". For me it still has a bad aftertaste that the mad Mudd was simply erased from history and that he is suddenly the old charming con man again in the Short Treks episode. Reservations regarding Mudd's history in Discovery aside, I really enjoyed "The Escape Artist". It is the perhaps most entertaining installment of all of Discovery so far, and one of the more intelligent ones no less. The story shows Mudd as a prisoner, who tries everything to get his captor to release him, with growing desperation. It is just what Tevrin Krit would expect, and just what we would expect from a man like Mudd. As Mudd's continuing lamentation falls on deaf ears, the story approaches its foreseeable ending. Just as Mudd would deserve it, Krit is going to hand him over to Starfleet. But Mudd wouldn't be a con man if he didn't still have something up his sleeve. I was prepared for some kind of twist, but the revelation that Krit actually captured an android duplicate of the man he really wanted surprised me. The outcome surprised me in a positive sense because everything appeared as perfectly plausible in hindsight. Mudd gave Krit exactly what he wanted to have, preying on his greed and on his desire for revenge. He kept up the illusion by programming the android to behave exactly like one would expect, thereby distracting Krit so much that he wouldn't recognize that anything was wrong. On the downside, if another purpose of the story was to relate Mudd to androids as a sort of homage to TOS: "I, Mudd", it utterly failed. In the TOS episode, Mudd will run into the androids by mere chance. There is nothing that would justify his affinity to androids, and his knowledge to build them all by himself roughly a decade earlier. I have nothing but praise for the directing and acting in "The Escape Artist". Considering that the episode is only some 14 minutes long and includes several flashbacks, the flow of the story is not bumpy at all. I love the interaction of Krit and the Mudd android, even though or just because much of it turns out to be part of Mudd's con. The way that Wilson delivers his various punchlines is priceless. Other than the previous Short Treks episodes, "The Escape Artist" does not feel like a bottle show. It features a number of guest characters and other places. It is amazing that distinctive sets were built for the Tellarite bridge, the warehouse and the Orion prison. It is ironical that among the four Short Treks episodes the two that were well-received were the ones not set in the continuity of Discovery and not involving any principal characters of the show. Maybe the people at the helm, and particularly Alex Kurtzman, have learned a bit from Short Treks and have recognized that fans may not want serialized Star Trek with endless intrigues and without a real resolution, and that they may not share the sentiment that gaps in the biographies of various characters need to be filled. Star Trek is and was always about stories. Of the four Short Treks stories two were awesome, one was satisfactory and one was mediocre. Overall, the side show has a better balance than the regular first season of the series. So Harry Mudd used to have androids that he himself constructed to serve him and that were lifelike enough to fool the senses and the sensors of half a dozen bounty hunters. About ten years later, in TOS: "I, Mudd", he has lost the knowledge about how to create androids and runs into a colony of very similar androids from the Andromeda Galaxy by mere chance? This does not add up at all. The tusks of the reimagined Tellarites are explicitly mentioned several times in the episode. This downright invalidates the classic Tellarites without tusks in the concept of literal continuity that applies to Discovery. Unless, of course, all Tellarites grow tusks only at times of war. One of the charges against Mudd is "penetrating a space whale". This is a clear sign that the episode takes place after "Magic to make the Sanest Man Go Mad". But regarding the multitude of capital crimes that he committed in that episode and the ludicrous idea to turn him over to his father-in-law, it only adds insult to injury. Mudd must have escaped his marital prison rather quickly. Moreover, the only charges left, besides a couple of *attempted* homicides, are rather harmless. This may not be a hard continuity error, but it is double-tongued like several other previously serious issues of which Discovery also offers an "alternative", more light-hearted interpretation. Remarkable tip of the hat: One of the Mudd androids wears a uniform with tasseled epaulets like Mudd in TOS: "I, Mudd". Remarkable facts: Tartus IV has 27 moons, if we believe Harry. Remarkable background fact: As per Rainn Wilson, who did not only play Harry Mudd but also directed the episode, the flashbacks of Mudd being in custody of the Klingon, of the small bounty hunter and of the Orions are not previous experiences of the real Mudd. They show what happened to the other Mudd androids just before they were delivered to Starfleet. The androids seem to share some sort of common consciousness. In any case, it makes a lot of sense. The flashbacks would be out of place if they showed something that only the real Mudd could know, who does not appear except for the very beginning and the very end. Also, the repetitive statements in the flashbacks are a consequence of the Mudd androids running the same program of distracting their captors.